Enzo Mari prints were created by the Italian designer in the 1960s and 1970s. From legendary Italian design house NOVA68, the modern posters by designer Enzo Mari celebrate the wild in vivid, cheerful colors. Perhaps you are already familiar with the popular La Mela Red Apple Print. The collection has now been expanded with 7 previously lost gems from 1976 which were recently discovered in the Enzo Mari archives. These richly-colored prints will bring a smile to the faces of young and old. Their delightful design was conceived as part of Mari's "nature series", which he created as early as 1963. 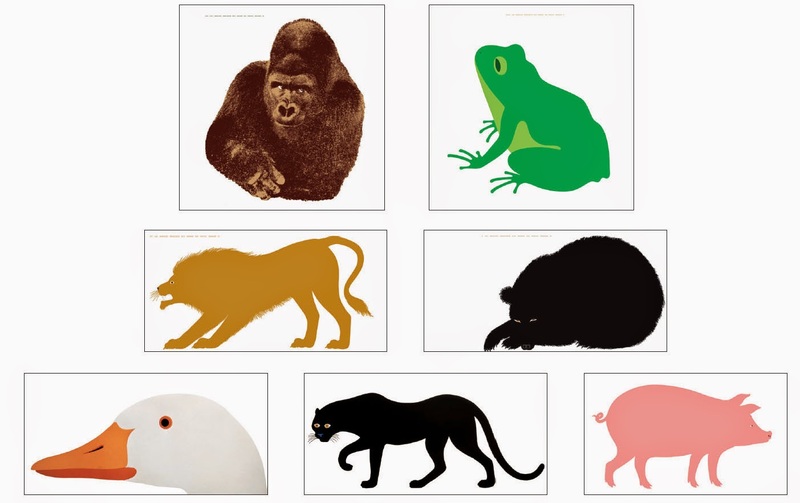 Enzo Mari is known as one of the most thoughtful design minds of the 20th century, having created puzzles and books in addition to these lovely, graphic prints. These individually silk-screened prints are generously sized for maximum impact which enhances their pop-art appeal. Prints come unframed and ship rolled. Each poster comes with two PVC bars for wall-mounting. Printed in Italy and available from NOVA68.